Hedy Lamarr was an Austrian and American inventor and actress. She began inventing after moving to the United States. In the early 1940s, she co-created a frequency-hopping system with composer George Antheil. Their invention served as a basis for Bluetooth, Wi-Fi, and CDMA. In 2014, Antheil and Lamarr were inducted into the Inventor's Hall of Fame. Inventors' Day was created by Gerhard Muthenhaler, inventor and entrepreneur from Berlin. The holiday focuses on honoring the inventors of the past and paying respect to the inventors of the present who make significant contributions to the development of science and technology. 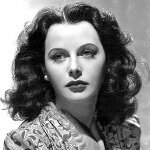 Gerhard Muthenhaler chose Hedy Lamarr as a role model for modern inventors because she became an inventor not for money or fame (she already was famous and had money). She simply wanted to realize her idea into life. Her invention is still in daily use: most people cannot imagine their mobile phones without Bluetooth and Wi-Fi, not to mention CDMA.